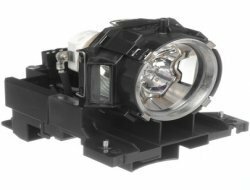 Lamp module for HITACHI CPWX625W Projector. Type = NSH, Power = 275 Watts, Lamp Life = 4000 Hours. Now with 2 years FOC warranty. View More In Video Projector Accessories - Page 2. Lamp module for HITACHI CPWX625W Projector. Type = NSH, Power = 275 Watts, Lamp Life = 4000 Hours. If you have any questions about this product by Hitachi, contact us by completing and submitting the form below. If you are looking for a specif part number, please include it with your message.